was to create a label that would appeal to a younger demographic while also conveying the story of the Lost Block in a contemporary fashion. cues to ensure that each label worked together as part of a cohesive larger story. take center stage in each illustration. was preserved, and the Tyrrell’s name was incorporated into the capsule. With bold illustrations and a fresh new face, this rebranding of one of Tyrrell’s flagship brands, re-energises it for a whole new generation of wine-lovers. John travels have seen him recently return from Prowein in Germany and Chengdu Wine Show in China. John spent his time in Prowein catching up with our European clients, meeting with potential new ones and, with what little time he had left, exploring & researching the international market discovering new styles, trends & labelling techniques in the wine industry. John’s discoveries will help John Jewell Design develop an extremely creative and varied style of labels whilst also focusing on developing a portfolio of BIB designs that are both revolutionary in the packaging and the imagery. John also travelled extensively throughout Germany meeting with clients and printers. John also found a number of brilliant printers in Germany that can produce the packaging that the John Jewell Design team needs to be able to satisfy our creative desires. There are some exciting design developments on the horizon. Chengdu Wine Show was a first for John and what an eye opener it was. With the help of Tyler John toured the show every day along with the other 100’000 people. 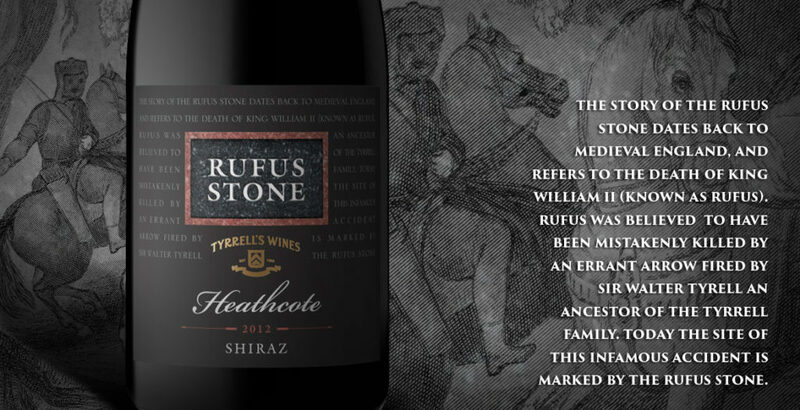 After nearly 20 years the Rufus label needed an update. John Jewell Design was able to provide that whilst maintaining the key elements of the packaging. John Jewell design has kicked off 2014 with a brand new website that leads the way in both functionality and design. With sharp lines and a crisp, clean aesthetic, the site is easy to navigate and provides the perfect setting for showcasing the best that John Jewell Design has to offer. The new-look site boasts brand-new features such as the sophisticated “Design Selector”. 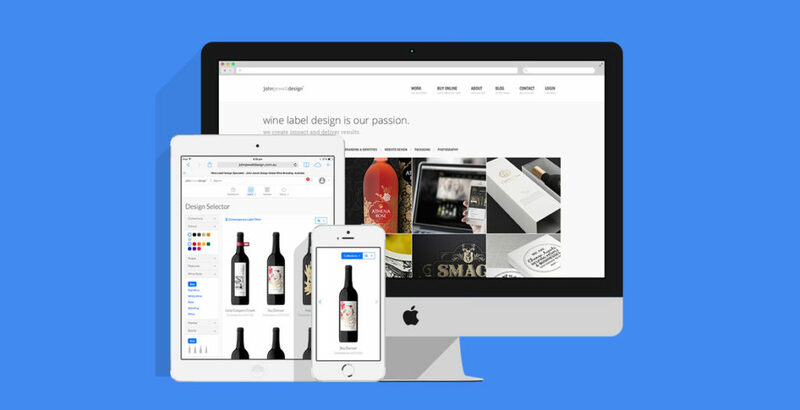 It allows clients to search and filter label designs, get up close and personal with the easy-to-use zoom function, as well as reserve or store their favourite label designs. Accompanying the release of the site, John Jewell Design has also launched two inspired new collections within their label catalogue. The “Promo Sale” collection is aimed at clients that have a tight budget and timeframe. It delivers premium, inexpensive design concepts ready for immediate use. The “Shrink Sleeve” collection is an innovative way to enhance any brand and achieve maximum shelf appeal. All of these features work seamlessly across a range of different platforms, whether it be PC or Mac, phone or tablet, you can access the site from wherever you are. 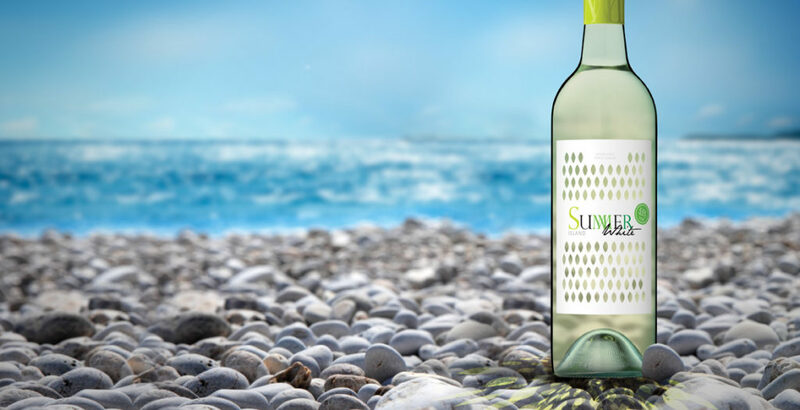 The ‘Sails of Hope’ label provided a unique opportunity for the team at John Jewell Design; create a heritage-style label, but give it a modern, youthful edge. Starting with traditional ship illustrations and a request that the map of Australia should also be incorporated, our talented designer Bri was able to meld these elements with a lush, contemporary colour palette and a subtle use of rich, gold foil. What resulted was a label that spoke of history and tradition, whilst also portraying a youthful spirit. The clever use of colour allows the label to appeal to a broader audience, whilst still conveying a sense of prestige and quality. The addition of the neck tag was another important feature of the design. 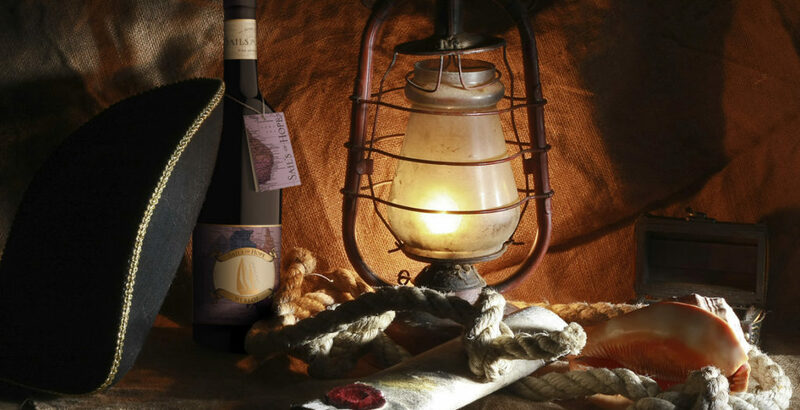 Its seamless integration into the packaging allows the label to remain uncluttered whilst still providing consumers with detailed region and tasting information. It acts to strength shelf presence, providing consumers with a point of difference and by design, it’s removable nature means it can be kept as a cue for repeat purchase. Once again, the team at John Jewell design have done a tremendous job of bringing to life our vision; creating unique, eye-catching labels for a new range of wines. They were professional, easy to work with and created labels that were very much in line with our design brief. We are more than impressed with the quality of the work produced. We were looking for an eye-catching and fresh approach for a category that is just building up in Europe. John Jewell Design came up with a great idea first time round. They createda cost-effective packaging concept taking into account technical feasibility. We are confident that this label will be the break-through for our product! 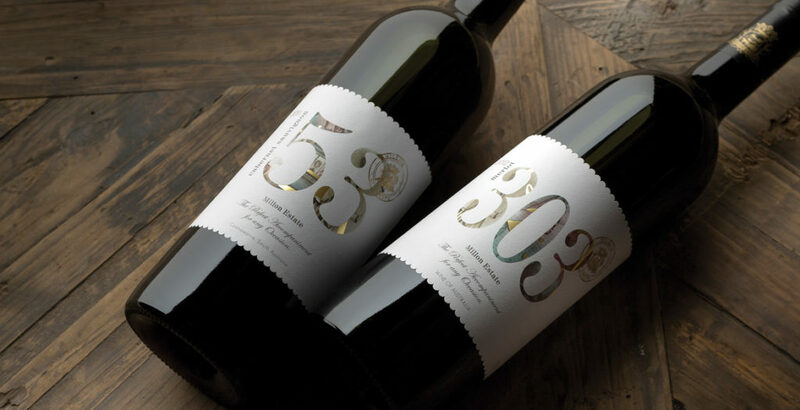 We have been very impressed with the design of our 2 labels, the ‘53’ and ‘303’. John Jewell Design has struck just the right balance in creating something of a contemporary style while at the same time maintaining a distinct level of elegance and sophistication, which is perhaps more associated with traditional ‘old world’ label design. 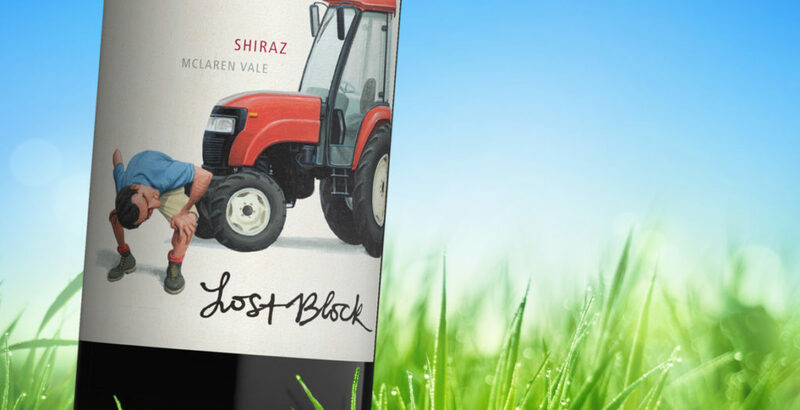 We needed something that would be eye-catching and stand out on the shelf, yet at the same time we needed to be mindful of what consumers in our target market have come to expect in terms of wine label design. It couldn’t be anything too eclectic and ‘out there’, but we also wanted to get away from some of the boring clichés common of the more traditional label styles. John’s design accomplished all of that, and we could not be happier with how our target consumers have responded to these labels. The end result has been a pair of labels that are stylish, attractive to the eye and unique in their own way. On John’s latest trip to the London for the LIWF was extremely beneficial to John Jewell Design, but what was even more amazing was the two weeks after. He spent these weeks traveling Europe researching the wine market and the styles that are taking over the industry. This research is what has proven to develop John Jewell Design into one of the creative leaders that it is today. From this research we have now produced another 40 innovative designs for our online catalogue with even more yet to be produced. John recently attended the 2013 London International Wine Fair (LIWF) where he met with many of our existing UK and European clients. He also had meetings with several potential new clients. After John attending a full three days at Prowein in Germany, John has made some amazing contacts along with an array of future business opportunities for John Jewell Design. We received this testimonial from Saskia A. Prum after John’s trip to Prowein. John was also given fantastic feed back regarding our bespoke labels and the quality of work that has been produced recently.